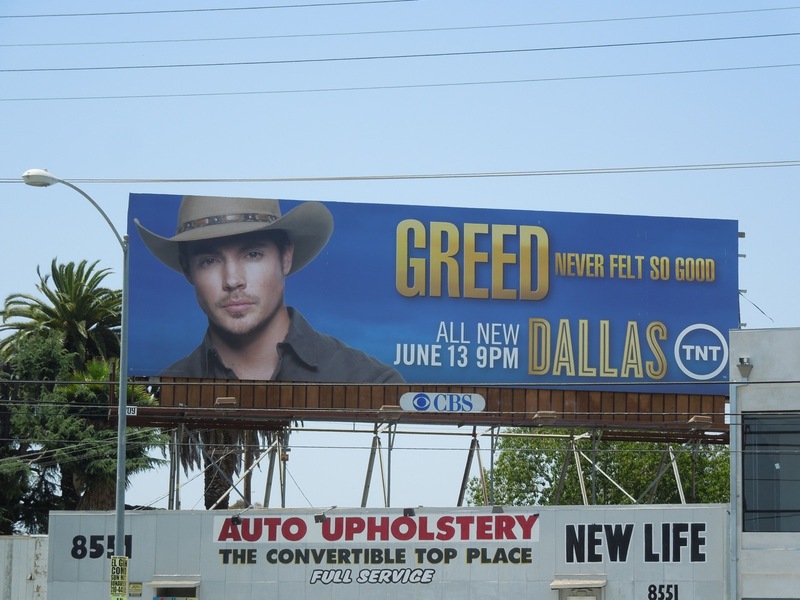 Dallas returns to our screens this Summer so let the backstabbing and family feuds begin. Veteran stars Larry Hagman, Patrick Duffy and Linda Gray reprise their iconic TV characters of J.R., Bobby and Sue Ellen, whilst they are joined by a whole new generation of Ewings on the Southfork Ranch too. Josh Henderson, Jordana Brewster and Julie Gonzalez join Desperate Housewives alumni Jesse Metcalfe and Brenda Strong to bring some fresh new blood to the Texan dynasty. 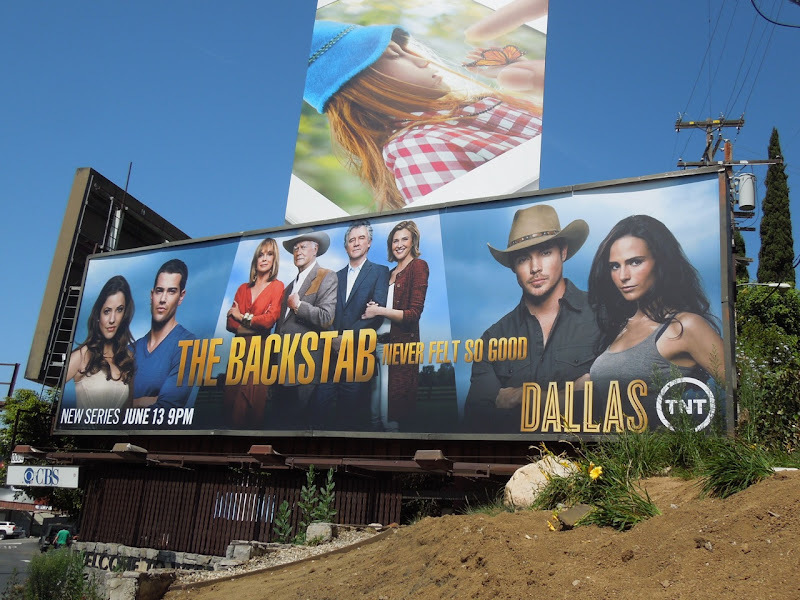 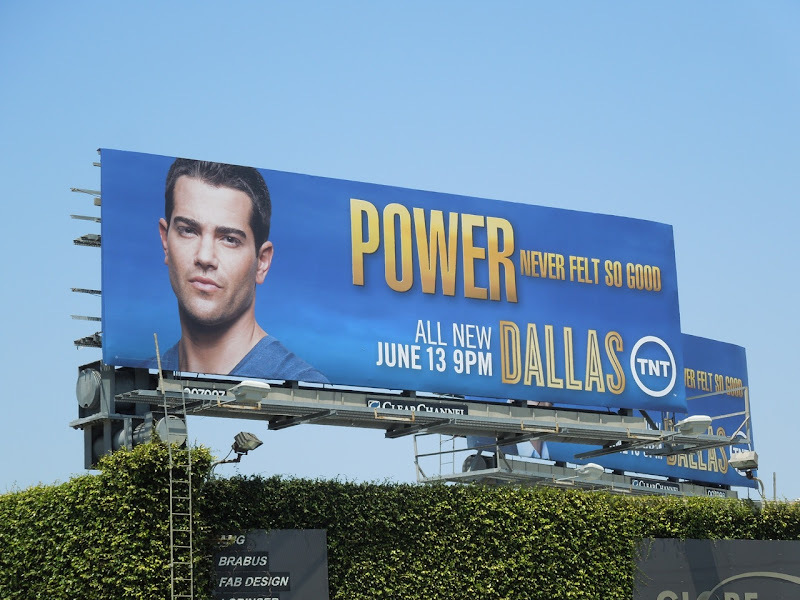 This cool billboard for the TNT remake was snapped along Sunset Boulevard on May 22, 2012. 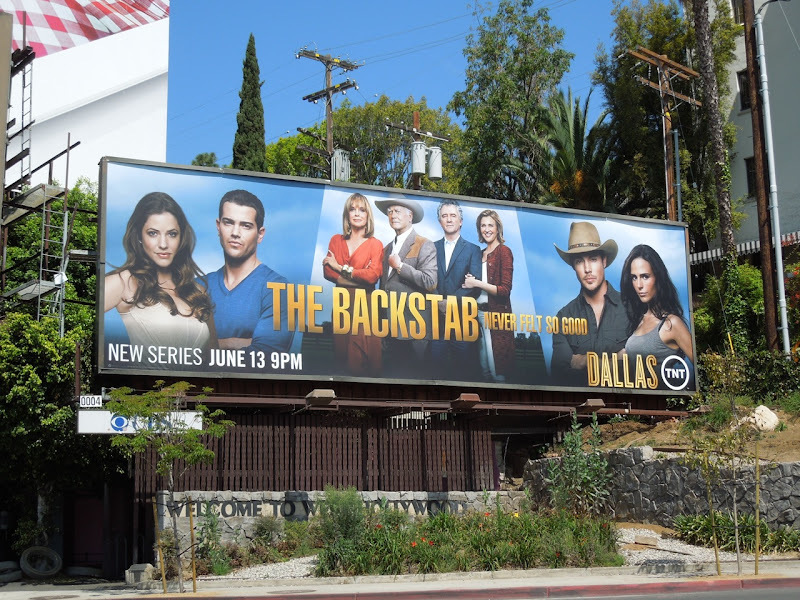 Daily Billboard is sure it won't be long until someone gets shot or slapped across the face, Sue Ellen has a drink or Bobby takes a shower. 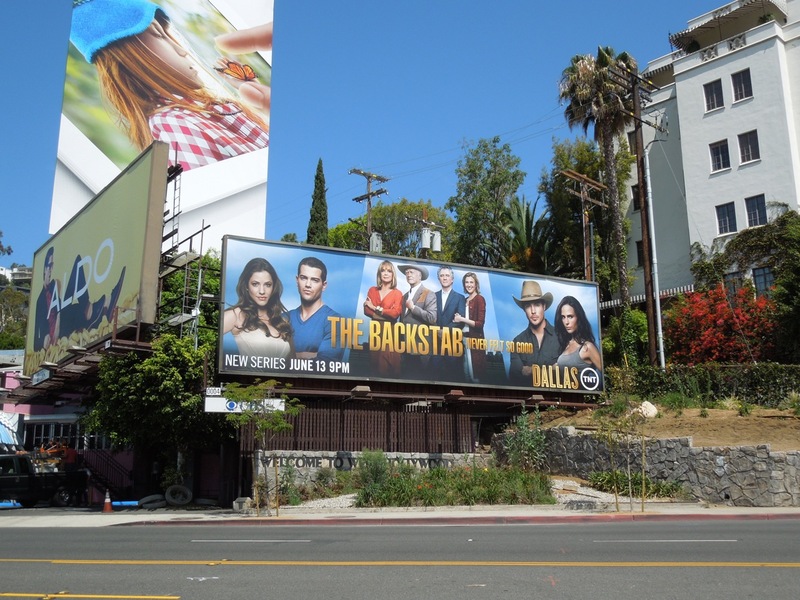 UPDATED: Little did Daily Billboard know that there was a whole campaign besides 'The Backstab' ad next to the Chateau Marmont Hotel in West Hollywood. 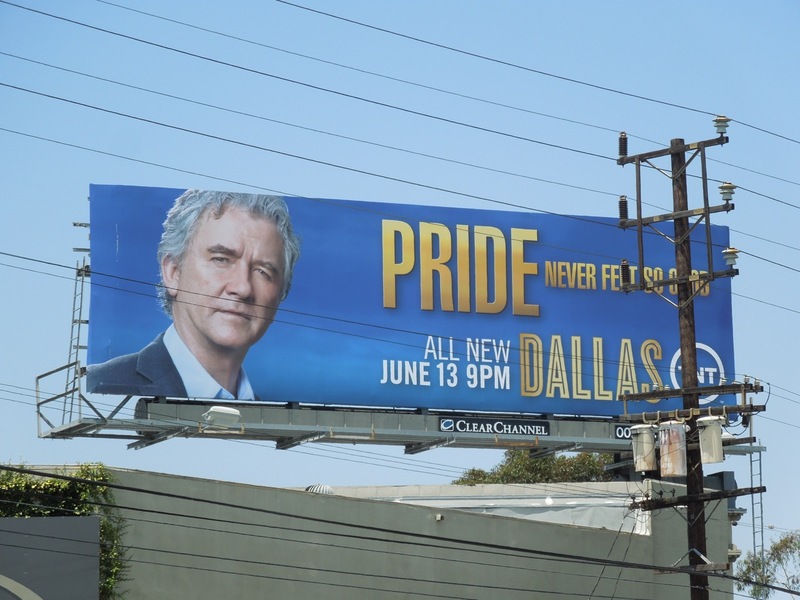 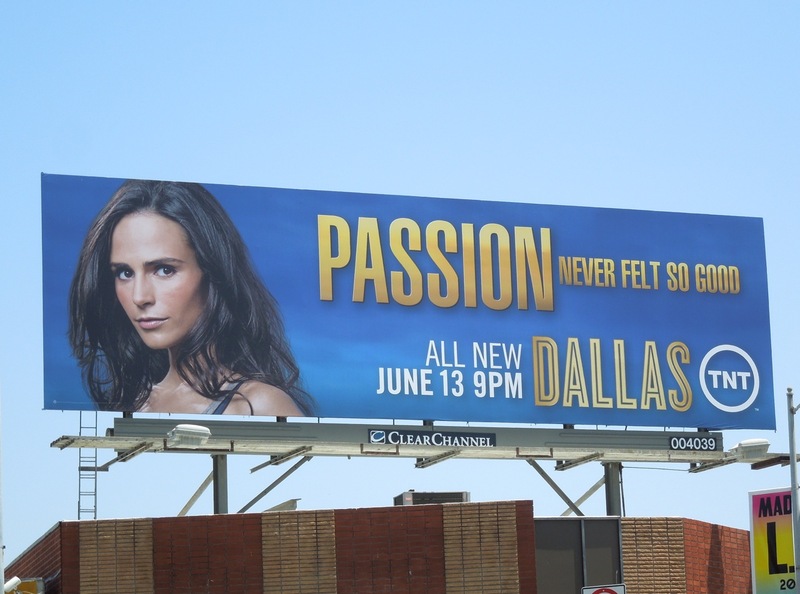 In the same way that TNT took over the busy intersection of Venice and La Cienega Boulevards with its first season billboards for Falling Skies, they've done the same to launch this revival of Dallas. 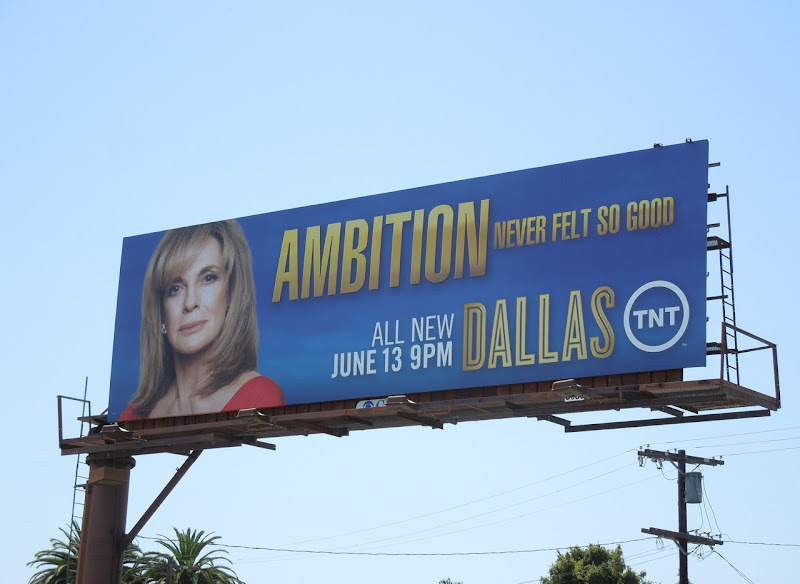 Scheming, greed, ambition, power, pride and passion, they have all the key ingredients of a great soap opera covered. 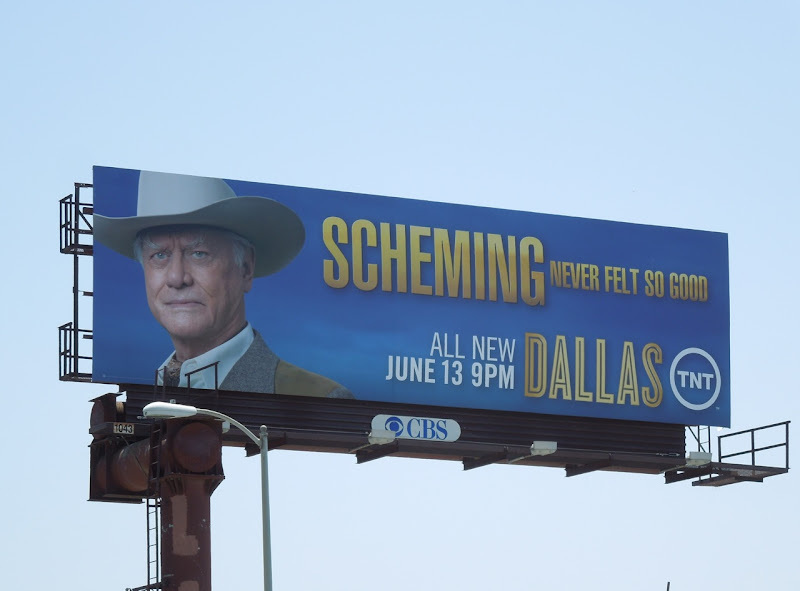 J.R., Sue Ellen, Bobby and their Ewing offspring have apparently never felt so good plotting and scheming, so let's hope the new series delivers and doesn't disappoint. 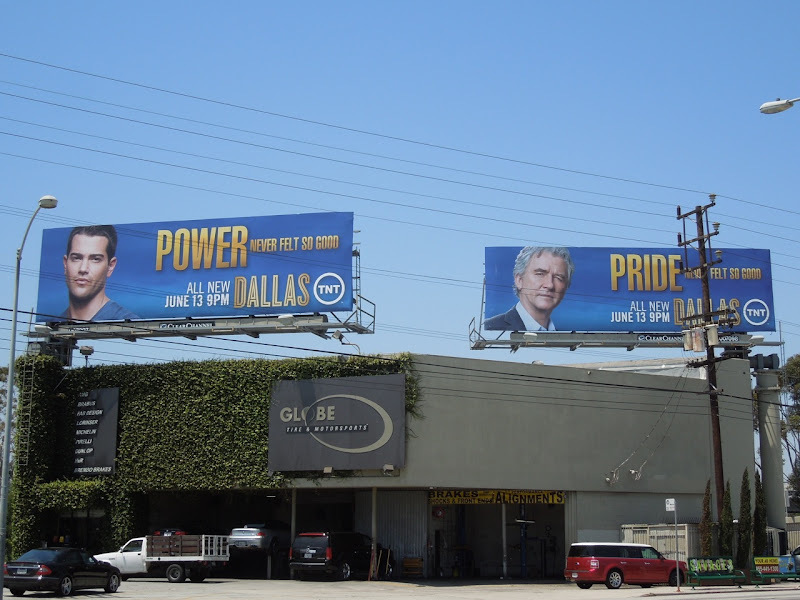 This impressive take over of a major traffic corridor in L.A. was snapped on June 11, 2012. Daily Billboard isn't sure about oil, but they've definitely struck gold with this clever ad campaign.